Home Lifestyle Travel Amarnath Yatra – Holy Hindu pilgrimages dedicated to Lord Shiva. The pilgrimage to Amarnath holds the same significance for Hindus as the Haj for Muslims. 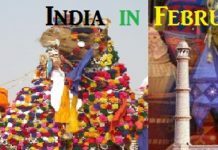 It is an annual event which takes place during the months of June to August when thousands of pilgrims start their spiritual quest from Pahalgam district and move up to the Amarnath cave. 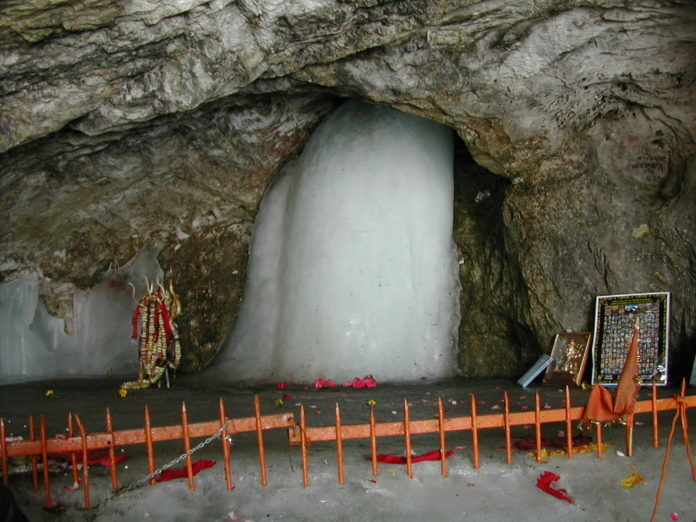 The holy cave houses an ice Shivalingam which mysteriously appears every year at the start of the yatra and disappears at the end. According to legend, it was here that Lord Shiva narrated the story of creation to his consort Parvati. Since that day, the place has been an important pilgrimage for the Hindus. Amarnath Yatra to start from 28th June 2018. Situated about 145 km from Srinagar in the state of Jammu & Kashmir, the Amarnath caves are situated at an altitude of 4174 mt above the sea level. The natural Shivalingam housed inside the holy cave is known to miraculously appear and shrink on its own with a change in climatic conditions and the movement of the moon. The holy symbol attains a height of over 6 feet on the full moon day of Shravan (July) month. The caves are situated on an ice glacier and measure 150 feet wide and 190 feet long, housing a total of five ice formations, each of which resembles different Hindu deities. While the biggest one represents Lord Shiva or Amarnath, as locally known, the others symbolise Ganesh, Bhairava and Parvati. The area remains buried under heavy snow from September till May and is open to devotees only from mid June to August. The registration for the holy journey begins a few days earlier and the devotees are sent in small groups numbering a few hundred each. In all, about 25,000 pilgrims visit the sacred caves each year. Chandanvari is the starting point of the holy journey from where the devotees trek up 12 km in the first day to reach the camp site at Wajvan. The major attractions of the day include the Sheshnag peak, named so as it resembles the head of a mythical snake, and the shimmering river stream which accompanies you all the way, lending the place a picturesque look. Second day is again a 12 km trek to the final campsite at Panchtarni while passing through the Mahaguna pass at an altitude of 4600 mts. From Panchtarni, the trek to the cave is 6 km, which can be completed easily be starting early in the morning. Ponies are available for people who are not able to walk long distances. There is another approach to the Amarnath caves from Sonmarg via Baltal. The route is very steep and therefore not recommended for people with low levels of physical fitness. It is advisable to get a thorough medical checkup done before leaving for the journey as the trying conditions can be extremely difficult for people with low levels of physical fitness. The climate is extremely cold and and heavy woolens including protective clothes from rain should be carried along. It is recommended to drink lots of water during the trek and take short breaks to avoid dehydration. Srinagar with Jammu and Delhi. By Rail : Jammu is the nearest railhead, connected to all the other major Indian cities through regular trains. By Road : State transport buses ply regularly between Jammu and Srinagar as well as other neighbouring cities. Jammu is situated at a distance of 315 km from Pahalgam, a distance which can be covered by taxis or buses. Buses are available at the tourist reception centre located at Raghunath Bazaar. Another option is to travel to Srinagar by Air and board a bus from there. A third option is to take a bus to Baltal from Jammu (400 Km), from where the holy cave is located at a distance of just 14 km.